The Cycleops Phantom 3 you may have noticed is very similar to the Phantom 1 and Phantom 5 except for one thing. The difference is in the technology. The Phantom 1 does not having a console. The Phantom 5, also, does not have a console but it has bluetooth capability to work with a tablet to give a better display, reporting while you ride and resistance control while using the cycleops virtual training. The point of difference being the console which is a Joules GPS+ which can also be used on a bike and multiple users giving you the ability track performance fully for all who use it. It has the same dimensions, adjustability, same type of resistance, drive and rides the same. I’ve included everything in this review to prevent you having to click backwards and forwards to find what you are looking for between the reviews for the other bikes. The bike frame is made from steel that provides the robustness to stand up to the strain of workouts. The bike can take the pressure of high speed and/or resistance without any flexing or shaking giving you the confidence to get the best training your want in or out of the saddle. It’s great for hill climbs or sprint training. It is narrower than most spin bikes or indoor cycles at 13 inches, most are 20 inches or more. Having said that it does give a stable base, and there is no rocking or swaying been noted. The flywheel weighs in at 48 lbs and is perimeter weighted. This gives it a similar feel you get when of the wheel rolling along the road. 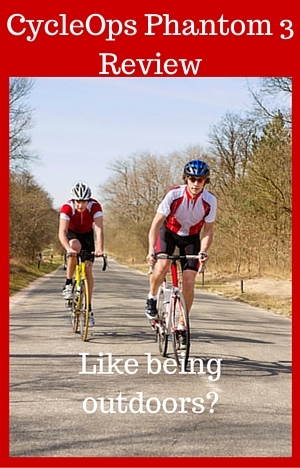 It provides a natural feel to the pedaling. It has been placed at the back to keep out of the way of sweat zones so it won’t get corroded by sweat or jammed up. You do need to keep the bike clean from sweat because if it isn’t properly cleaned down the exposed steel can start to rust fairly quickly. Under the stabilizer bars there are levelers for leveling the bike when the floor isn’t even. You turn them until any rocking stops and then lock them in place. The handlebars and seat can be moved forward/backwards and upward/downwards to get as close as possible to your bike’s dimensions. Within their movement range they can be placed exactly where you want as you aren’t restricted to pre-set holes. The adjustment process is quick you undo the adjustment lever of the adjustment pole you want to change position, then slide it to where you want the handlebars or seat and then tighten up again. You do need to ensure you tighten the levers up fully to ensure that they don’t slip while you ride and it makes sense to check them each time before you get on to ride. The poles have a marked scale on them to give guidance to returning to previous setting and help you to get the setting right. The only position you can’t adjust on the handlebars is the angle, this is fixed. The bike can fit people between the heights of 4ft 11 ins and 6 ft 6 inches. If you are below 5 ft 2 inches you may need to buy their low rise seat adaptor depending on your leg length. The price is $35 when I checked. Resistance is provided by felt brake pad that sits at the side of the flywheel. The amount of resistance is controlled manually by turning the control knob that sits at the front of the frame. The resistance goes up or down incrementally to give you consistent levels to work with. The resistance has been factory adjusted to give a standard amount of resistance at each turn of the knob with the lowest setting at 90 rpm should register 30 watts. You can use the Joules GPS+ console to adjust the resistance also for slope and gear (see video for a demonstation). While this level of precision is great there are a couple of issues with it. Firstly, there is no markings as to how much resistance you’ve applied to give you a guide to setting resistance and returning. You need to do this by estimate. The second is that the chain (and cable) will stretch over time and the resistance pad will wear down form use. From time to time you are going to need to adjust the brake pad. It’s not difficult and the instructions are included. As with an outdoor bike, this indoor cyclet has a chain drive. It comes with the same feel you get with an outdoor bike while you pedal (that same slight vibration in the pedals you experience with an outdoor bike) but also with the same type of noise and maintenance requirements. The chain tension will need adjusting and need lubricating as required. Instructions for this are included. The bike does allow you to coast with its freewheel hub. It makes this more like you’d experience with an outdoor bike. It does mean you need to concentrate on your pedal stroke just as you do on an outdoor bike to ensure you’ve got good form. This is unlike spin bikes that have a fixed gear where the pedals are pulled through the whole entire pedal stroke by the flywheel momentum. The chain drive is enclosed in a guard to prevent it being ruined by sweat and dirt which also helps to keep your ankles and clothes getting caught in it. The bike doesn’t come with a set of pedals which is just like you see with top of the range road bikes. You are expected to supply those yourself. It helps you to get the bike set up like your road bike without paying for pedals that you won’t use anyway. The thread is 9/16″. The Q Factor of the pedals is 168 mm and crank length is 170 mm. The cranks can’t be changed. The Q Factor (the distance between the pedals) is good overall for an indoor bike but it is wider than that found on most road bikes. It does mean your legs aren’t as aligned which makes for a less efficient pedal stroke and can cause some stress that can sometimes lead to injury. The spin bikes that have a better Q Factor are Spinner models like the Spinner NXT with a 158 mm distance. The bikes don’t come with road style handlebars, freewheel hub (for coasting) nor do they have a console. It is a good bike that can be used for indoor training as well as spinning workouts. You can read the review here. It is designed more for spinning but can be used for indoor training as well. Handlebars. For bike training the bike includes road style handlebar with drop bars – it doesn’t include bull horns or aero bars. It is good for cycle training but doesn’t cater for the hand positions for spinning. The bars are covered for better grip when the hands get wet which prevent slipping, blisters and rusting. Noise. It is a quiet bike with the only real sources of noise coming from the brake pad rubbing on the flywheel and the chain drive clinking across the sprockets with the crank and flywheel being properly aligned reducing noise. It won’t get in the way of getting on with your training or watching the TV while you train or disturbing others in the house. Dirt and Dust. It is a fairly clean bike with some dust from the resistance pad and lubricant from the chain and other moving parts. The biggest issue to do with keeping things clean is likely to be the sweat which will drop on the bike and floor causing things to corrode and gum up if not cleaned up – as it is with any exercise equipment. Cleaning the bike regularly will keep the bike looking good and performing well. A rubber mat placed under the bike will prevent damage to the floor. Seat. The has been described as comfortable. But like any bike seat what one person thinks is comfortable another will think is awful. You can try padded bike shorts or get a seat cover if you don’t like the seat. Alternatively you can replace the seat with your own bike seat as it fit standard bike seats. When you want to move the bike you tip it on to 2 transport wheels at the rear of the bike. They handle most of the weight of the bike so that you can wheel it to where you want it to go. The wheels work on most surfaces except for very soft or deep pile carpet. They may mark or dent wooden floors so it makes sense to test first if you’re wanting to move the bike across one. Even though the bike footprint is 13 by 48 inches the company advises that you need 21 inches width to store the bike and need that width to move the bike though doors etc. The bike comes part assembled to help with shipping. The assembly process is not difficult and the instructions are clearly written to guide you through the process. All the parts go together well as they’ve been properly manufactured – holes line up and poles slot into holes easily. The tools required to complete assembly are included. There aren’t too many parts put together, considerably less than you have with IKEA furniture. The stabilizer bars, pedals, adjustment poles, water bottle holder, adjustment levers, seat, conole and handlebars need to be put on to the frame to complete the job. It should take about 30 to 60 minutes. As with all these indoor bikes the most difficult parts are moving it to where you want to assemble and attaching the stabilizer bars. It’s nothing technical but just handling the weight of the bike – it weighs 140 lbs when assembled – because of that you may want 2 of you to assemble it to prevent any mishap. The bike comes with a comprehensive console the Joule GPS+ that includes a power meter and can be used in conjunction (and can be used with the virtual training assistant – you do get 2 week free trial included). There is a quick start guide and a comprehensive user manual to help you with how to use the computer. The Joule GPS+ is compatible with IOS 4.0 and above devices. You can have multiple users set up on the console to monitor their performance and use on different bike – indoor and outdoor. The console is compatible with any Ant+ power meter, speed sensor, cadence sensor or heart rate sensor. The console is 48 mm by 69 mm by 22 mm with a display screen size 30 mm by 37 mm (or 1.18 ins by 1.45 ins) so a little bigger than a watch face. It’s not going to be the easiest to read but it does give you a lot of data all the same. As well as the screen there are the buttons needed to program and control the computer on the sides and underneath the screen. It is powered by a rechargeable lithium battery that when fully charged has a life of up to 17 hours, To charge the battery you need to charge using a micro usb computer cable or a computer adapter that isn’t included. Data can be stored on the console and downloaded to your computer and using the free power agent software to further analyze your performance to know exactly how you are progressing. To keep the software up to date you need to pair it with an IOS device with the Power Tap App. This is the best way to keep it up to date. There are 3 dashboards that show different information dashboard 2 shows watts, heart rate, mph. ride time and additional detail for highlighted metric. Dashboard 3 shows ride time, speed, gradient and detail view. But you can change what is showing on each of the displays. The detailed data for each of the main numbers is the average and maximum, except for ride time which gives distance and kilojoules. For kilojoules you get kj/hr and TSS (Total Training Score. You get additional information when you go into the reports section of the computer for information such as peak power, work time in zones, averages by date, averages by ride. You can compare maximums and averages by ride as well watts/kilo, zero watts. Also you can set up and monitor laps and intervals in a ride. You can’t use the workout functionality with the bike as the resistance is manually controlled by user and not electronically controlled. The power tap hub that measures power, RPM has a battery that should normally need to be replaced every 1000 hours and it requires two AA batteries. The screen at the top shows temperature bluetooth connection and what direction is north. Below that is Watts, Heart rate, ride time and kilojoules. Below them is further information on the highlighted metric such as average watts and max watts. You do have a number of choices as to the metrics you display while you ride making it very versatile and informative. You can use it with the Cycleops Virtual Training Assistant (for a monthly fee) to adjust your bike resistance for slopes and gear changes on rides but you do need a tablet, pc or other smart device. The bike has a dual water bottle holder that is situated by the handlebars putting your bottle in easy reach when you want a drink. There are no clips or anything to fiddle with when grabbing your bottle so there is no need to slow down. You don’t get any other accessories with the bike however you do get the chance to try out their Virtual Training Program for a 2 week free trial. Customer reviews are very good for the bike – the few that have been left except for one. This person seems to have had an issue with a Cycleops bike and not been responded to by Cycleops. The review doesn’t specify the issue and it appears to be just the one person who has had an issue as no other customer mentions an issue in relation to this bike. In contrast other reviews talk about the great customer service. They like the fact they can adjust the bike to the same dimensions of their road bike, they feel it rides like one too and provides the data they need for their training. This is a premium price cycle with a very good console and quality made components that has been designed to be used for serious levels of training without breaking down and requiring loads of maintenance. The bike qualified for free shipping when I checked on Amazon. This is a great bike for indoor training rather than spinning workouts – although it can be used for low impact cardio workouts. It is just designed for indoor training. It can be used in place of a trainer to save wear and tear on your road bike. It can set to the same setting as your bike other than the width it can get very close. The Joule GPS+ computer can be used to monitor heart rate and power amongst other things. You can use it to set the gradient and gear you are in to give you a training session like you’d get riding outdoors. You can get workouts to follow along to if you pay for the Virtual Training Assistant but you don’t get the full benefit of it as you do with the Phantom 5. Overall it is a good solid bike for getting your training done when you can’t get outside on the bike with a console to monitor and track your progress. does this bike sway?Is the frame articulating? No it doesn’t sway or tilt. It doesn’t have an articluating frame. The RealRyder bikes do that.